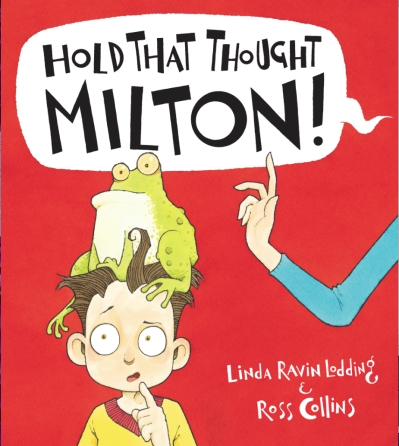 Our March Book buddy book from Parragon sees the interesting story of Milton, 'Hold that thought Milton' by award winning author Linda Ravin Lodding and illustrated by Ross Collins. This is a rather comical tale which follows Milton, a young boy with a lot on his mind. His pet frog Burp disappears the day before his Aunts wedding and everyone is busy, no one has time to listen to Milton, 'Hold that thought Milton'. The thing is Milton has a lot of thoughts and the more he tries to hold them, the more he becomes them. Hilarity soon follows which is brought to life by the wonderful illustrations. This is a lovely story to read with my girls and one they find rather funny!